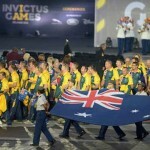 On July 12, the Invictus Games flag was officially passed from the 2016 host country to the 2017 host country. The passing of the flag from Team USA to Team Canada co-captains officially charges Toronto with the responsibility of putting on an event that shines a light on the unconquerable spirit of our wounded warriors, and raises awareness and support of the recovery and health of our military personnel, veterans, and their families. 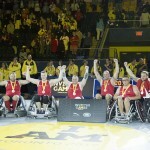 Fisher House Foundation, a long-time supporter and sponsor of the Invictus Games, hosted the ceremony. Speakers shared incredible stories about the rehabilitative power of sport and the important role of military families in the recovery of wounded, ill and injured veterans and service members. 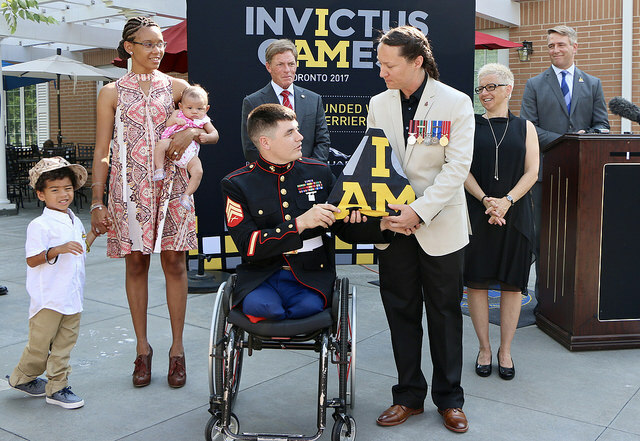 Ken Fisher, Chairman and CEO of Fisher House Foundation and former Chairman of the 2016 Orlando Invictus Games and Burns addressed the audience. Competitors from Team Canada and Team USA, along with their families, also relayed their personal journeys to the Games and the role Fisher House has played in their experiences. 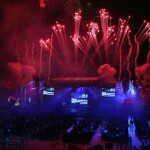 Fisher House Foundation, the only American sponsor at the London 2014 Invictus Games and a leading supporter at the 2016 Invictus Games, is also announcing its renewed sponsorship and support for the Invictus Games Toronto 2017 at the event. 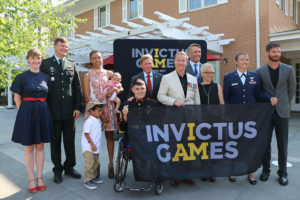 The passing of the flag also launched the official Invictus Games Toronto 2017 National Flag Tour, a journey across Canada that will generate support for servicemen, servicewomen and veterans. The flag will be carried across the country as a physical representation of the unconquerable spirit of the competitors.